Have you ever gotten swept up in a crowd? Maybe it was a sporting event, political rally, or public event. How did it feel to have a mass of people around you? What kind of power can a crowd exert? What’s the loneliest you’ve ever felt? Jesus is arrested, put on trial, mocked, and physically abused. How would you respond to these events? How does Jesus? Why do you think so many different people feel it necessary to mock Jesus? Do you remember the crowds that hailed Jesus just a few short chapters ago? What has changed? How can popular opinion swing so abruptly? How is Jesus able to endure trumped up charges, mockery, beatings, and ultimately a wrongful execution? What does He have in mind as He endures these things? How does His reaction affect those witnessing His death? How is Jesus’ death evangelistic? Look at the response of the centurion and the thief next to Jesus on the cross. How can God use our darkest times to bring light into the world? I love a good story. I like to tell them. I like to hear them. I like to collect them. But, stories are a funny thing. The effectiveness of a story often depends on the teller of the story. Take for instance my wife Ronda. If you ask her, “what did your family do yesterday?” She would provide an orderly account. Her story would start at the beginning, include many details, progress to the middle, maybe include dialogue, and finish at a reasonable conclusion. Ronda would pause to give you insights about what these facts mean assigning context and motivation for each one. She would continue until you understood completely. Ask me the same question and you’ll get a much different story. I would tell you the headlines. Perhaps make a joke. I’d include something astounding or possibly sad. It would be a short, but memorable conversation. By the way, if you ask my boys the same question, their story would include a dragon, Iron Man, Harry Potter, and some bathroom humor. It’s all a matter of perspective. The writers of the Gospels were no different. Four different books. Four different authors. Four different audiences. Four very different stories. Luke’s story sound like Christmas carols. You can sing along to Luke. His account is a “Saturday Evening Post” version of the Christmas story. There are angels, and mangers, and camels, oh my! Matthew is much darker. There’s a scandal about. Whispers of an unplanned pregnancy, rumors of a possible divorce, concerns over a political coup attempt read like a taunt spy novel. Matthew is difficult to read. The story begins and ends with the slaughter of the innocent. John is much more poetic. He’s not in a hurry. 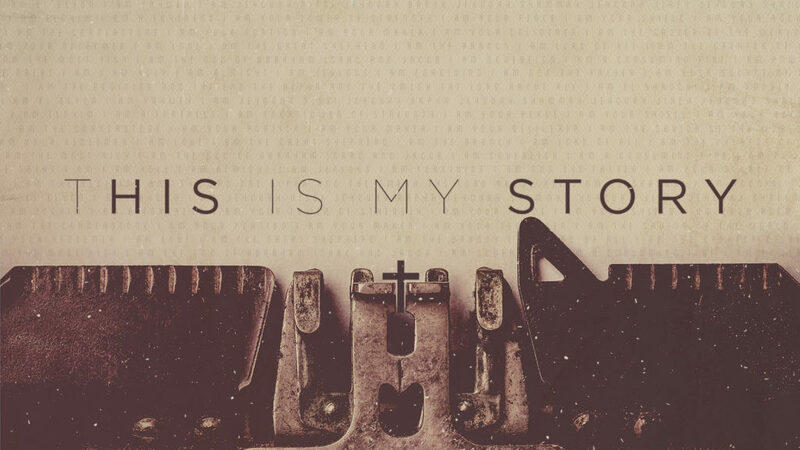 John doesn’t just start at the beginning of the story but at the beginning of all beginnings. It’s like asking your grandfather about his favorite baseball team and he tells you the history of the sport. Or, asking someone to tell you their own life story and they say, “well, back in 1845 Ireland ran out of food…” It’s not that the story isn’t compelling; it’s just much more involved than you imagined. Mark seems to be in a hurry. He has no time for a nativity. There’s no mention of a baby at all. No camels, no wise men, no donkeys, no nothing. Jesus appears full-grown with a full beard and full itinerary. The Savior has places to go, people to heal, and a Kingdom to proclaim. Mark spends ten chapters talking about three years of Jesus’ life and six chapters describing the last week of His life. The abrupt change of pace should tell us something. This week is too important to miss. We can’t rush by it for risk of missing even one detail. Every palm branch that is laid down, every lash of the whip, every word of mockery and disrespect need to be heard and held. In Mark’s story, we can count the drops of blood and hear the strike of hammer to nail. It’s not a story in which we want to linger. How we wish he would hurry up. But, I’d like to encourage you this week to spend some time walking with Jesus to the cross. Before we hurry on to the empty tomb, let’s pause and take in the sacrifice. It’s a story that we need to hear with wonder, share with compassion, and live out gracefully. That’s a story worth telling. Who has believed what he has heard from us? And to whom has the arm of the Lord been revealed? For he grew up before him like a young plant, and like a root out of dry ground; he had no form or majesty that we should look at him, and no beauty that we should desire him. He was despised and rejected by men, a man of sorrows and acquainted with grief; and as one from whom men hide their faces he was despised, and we esteemed him not. Surely he has borne our griefs and carried our sorrows; yet we esteemed him stricken, smitten by God, and afflicted. But he was pierced for our transgressions; he was crushed for our iniquities; upon him was the chastisement that brought us peace, and with his wounds we are healed. All we like sheep have gone astray; we have turned—every one—to his own way; and the Lord has laid on him the iniquity of us all. He was oppressed, and he was afflicted, yet he opened not his mouth; like a lamb that is led to the slaughter, and like a sheep that before its shearers is silent, so he opened not his mouth. By oppression and judgment he was taken away; and as for his generation, who considered that he was cut off out of the land of the living, stricken for the transgression of my people? And they made his grave with the wicked and with a rich man in his death, although he had done no violence, and there was no deceit in his mouth. Yet it was the will of the Lord to crush him; he has put him to grief; when his soul makes an offering for guilt, he shall see his offspring; he shall prolong his days; the will of the Lord shall prosper in his hand. Out of the anguish of his soul he shall see and be satisfied; by his knowledge shall the righteous one, my servant, make many to be accounted righteous, and he shall bear their iniquities. Therefore I will divide him a portion with the many, and he shall divide the spoil with the strong, because he poured out his soul to death and was numbered with the transgressors; yet he bore the sin of many, and makes intercession for the transgressors. Last week we read the prayer of Jesus in Mark 14:36. Abba, Father – hear us now Father as we silently remember our relationship with you. All things are possible for you – hear us now Father as we profess our trust in you. Remove this cup from me – hear us now Father as we present our requests to you. Yet not what I will, but what you will – hear us now Father as we acknowledge our surrender to you. How would you restate or amplify these words of Jesus? Firefighters, BBQ, And Lots Of Pie!